SECURE 33 is a unique wax based emulsion specifically developed to enable improved curing of sub-base concrete pavements with less risk of surface cracking.It is a quick drying product with superior stability and spray characteristics allowing for excellent film uniformity and coverage. The technical attributes of SECURE 33 provide enhanced management and control of curing operations. Method : Apply evenly as a continuous film typically at 1 lt / 5 m2 using a low pressure mechanical or hand held sprayer or soft nap roller when sheen on the concrete surface has disappeared or when bleeding is complete. Industry standards and specifications for application should always be adhered to where applicable. DO NOT apply by brush and avoid any contact with finished surface. SECURE 33 is NOT RECOMMENDED for use on surfaces that require subsequent topping, renders, paintwork or line marking etc. Do not dilute product. 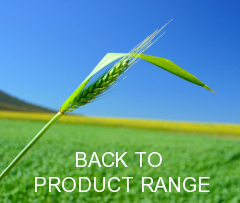 Product standing for lengthy periods should be checked for any separation and agitated prior to use if required. Clean up - Spray equipment should be adequately flushed with water immediately after use to avoid internal deposits of wax. Dried films may be cleaned easily with Vicchem Bio-Dispersol, hot water, steam or mineral solvent. · High concentration of solids provides good coverage and film thickness that slows moisture loss. · Superior stability reduces the risk of separation in storage and subsequent risk of faulty application. · Good sprayability enables uniform application with less down time due to tip and filter blockages. · Fast drying time provides improved operational flexibility in variable weather conditions and reduced run off due to unexpected rainfall. · Good slip resistance offers higher level of safety to site personnel. · Available in clear, white & black versions to match performance with seasonal temperature variation. · Not classified as a Dangerous Good enabling more flexible and convenient storage, handling and transportation. · Non Toxic providing high level of safety to operators and environment · RTA compliant. SECURE 33 meets the requirements of AS3799-1998 when applied at the recommended rate.